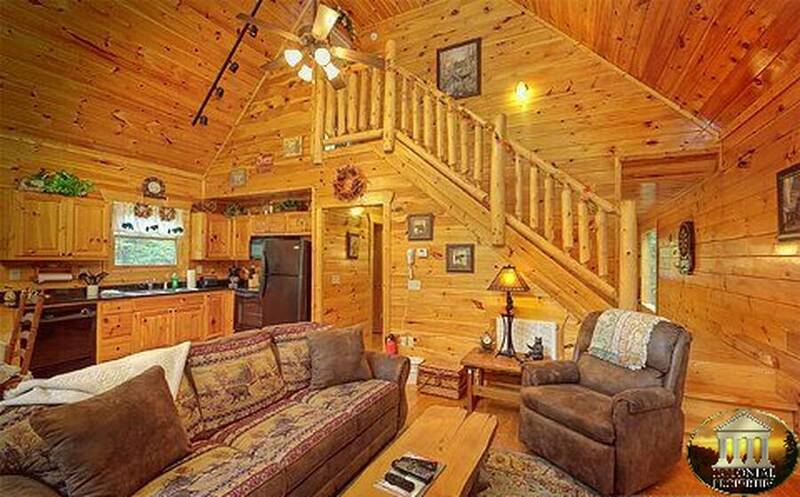 As soon as you enter this stunning cabin you are surrounded by soothing natural wood tones and black bear themed furnishings and decor. The spacious living room provides you with comfortable seating, a flat screen TV and a crackling mountain stone accented fireplace. In this open concept living space you'll find the dining area and the wonderfully equipped kitchen just beyond the living room. 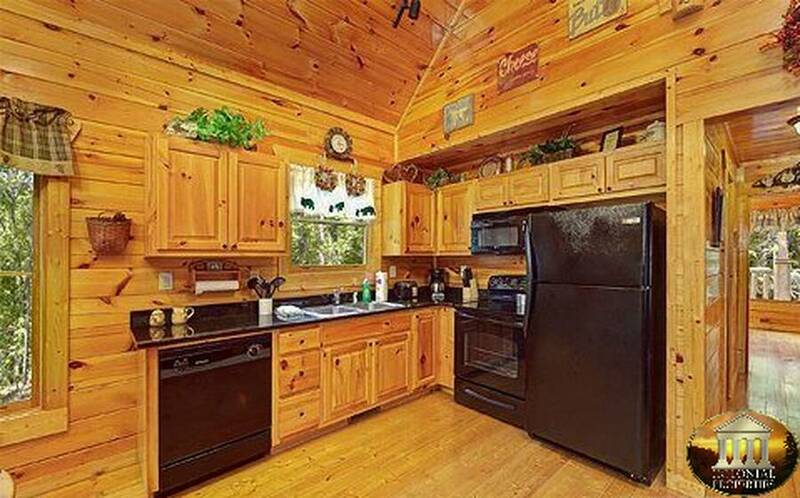 Prepare, cook and serve a delicious meal for your friends and family all from the comforts of your private cabin; grill outside on the gas BBQ or gather everyone around the dining table for special memories. Located just off of the kitchen on the main level is a relaxing queen bedroom with adjoining full bath for added privacy and convenience. Also located on the main level you'll find the gaming area complete with a pool table and electric dart board where you can challenge your guests to an exciting time or sit back and watch the competition unfold as you and your guests make lasting memories. Take a walk upstairs at The Bears Cove for an incredible experience. The entire second floor is dedicated to the truly spectacular master suite. This breathtaking and spacious bedroom features beautiful hardwood floors, gleaming log king bed, bedside jetted tub and a full in-suite bath. 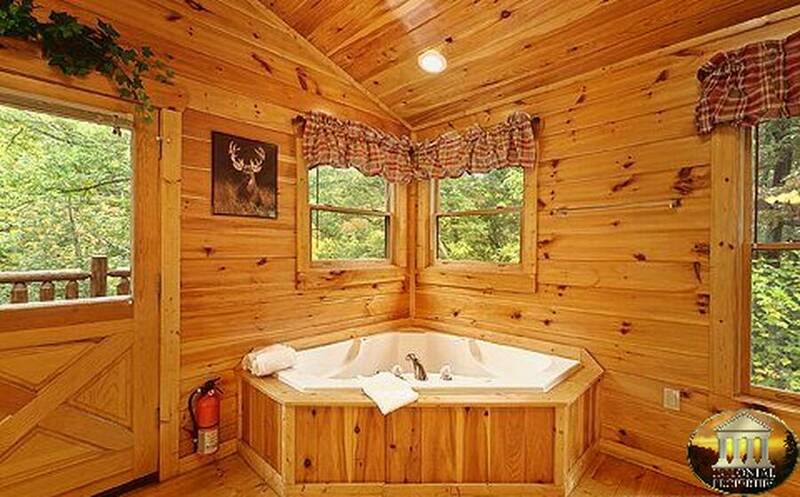 You'll love the windows and forest view in this master suite. 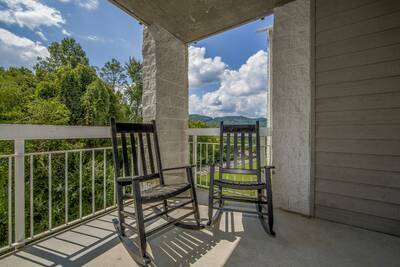 Step outside onto your own private balcony to enjoy the outdoors and the lovely sounds of nature. 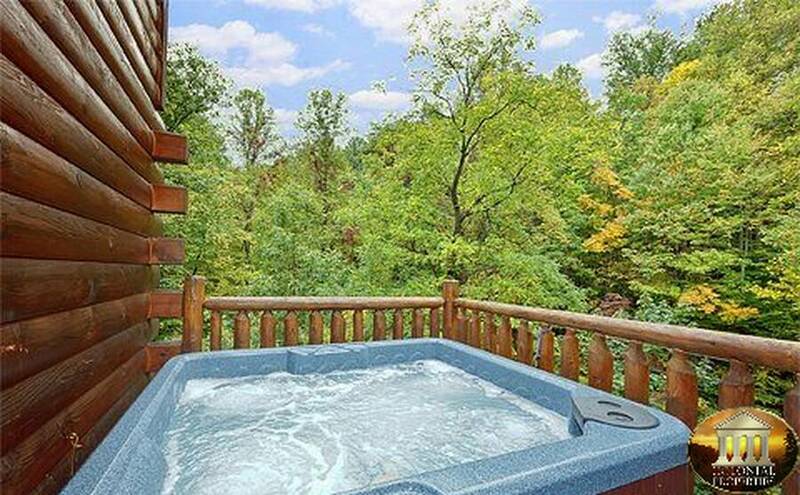 If you’re in need of relaxation and rejuvenation then this is the perfect place to unwind! For additional sleeping, there's also a futon inside this bedroom. 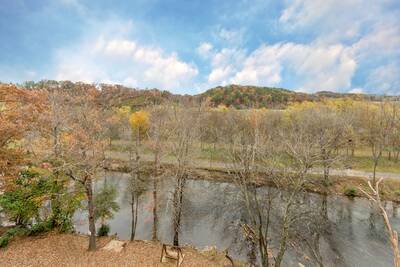 The Bears Cove offers a wonderful partially covered main level deck. Enjoy grilling on the gas grill beneath the covered deck area or sit back and relax in the soothing outdoor hot tub as you gaze up into the sky above. 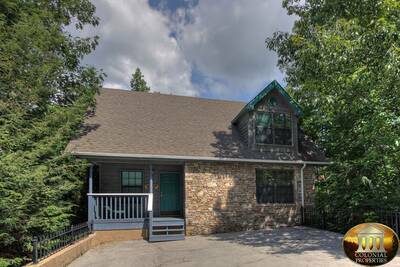 With it’s awesome features and amenities, this Gatlinburg cabin rental is the place to spend your next mountain getaway! 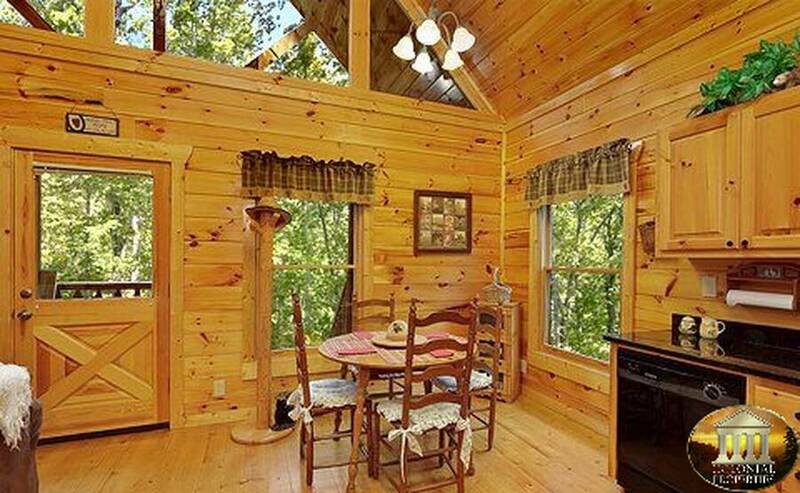 Conveniently located between Gatlinburg and Pigeon Forge you'll have quick easy access to all of the area attractions while still experiencing the outdoor excitement of being up in the mountains. 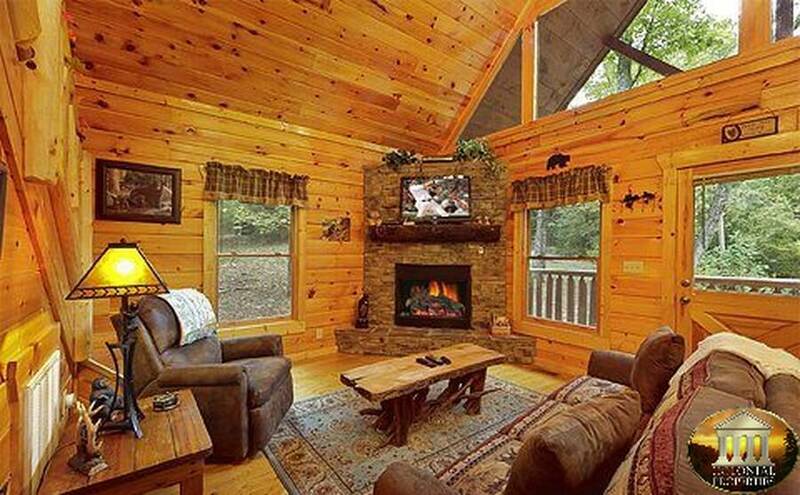 Reserve your stay today and get ready for an unforgettable Smoky Mountain vacation! A: Hi Shea great question! You must be 21 years or older to rent a 1 bedroom vacation rental. You must be at least 25 years of age to reserve a 2+ bedroom vacation rental. Thanks for asking. A: Hi Misty! 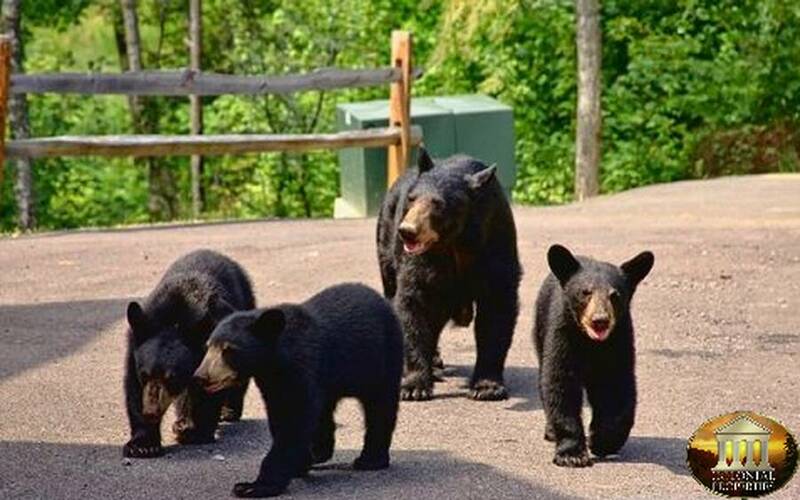 The Bears Cove is not a pet friendly property. A: Hi Kim! The Bears Cove has a standard coffee pot. A: Hi Christine! Yes, there is a washer and dryer in the cabin. A: Hi Brenda! Yes there are TVs in the bedrooms as well as the living room. 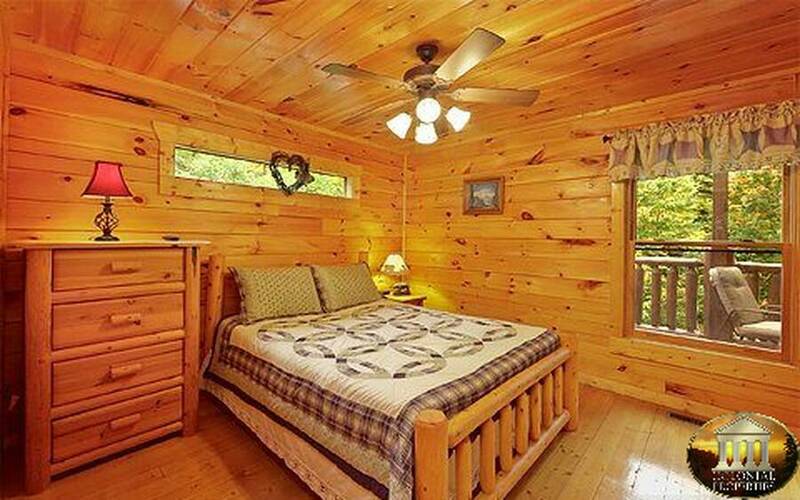 “ Cabin is exactly as described, very nice and clean! Our family had an awesome time and my kids absolutely loved staying in The Bears Cove! “ We absolutely loved our stay at The Bear’s Cove! 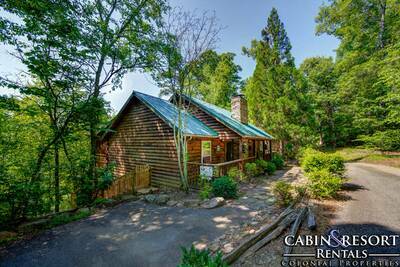 The cabin is beautiful and provided all of our needs. This was the perfect get away spot - very quiet and secluded. 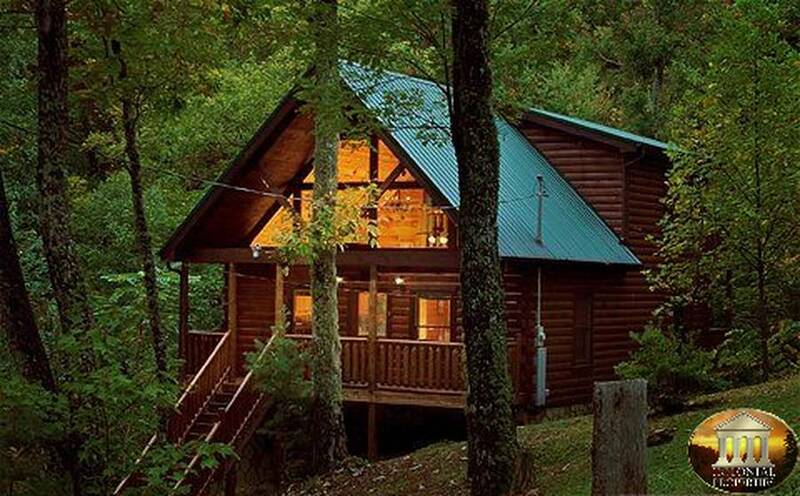 We would definitely book another stay at this cabin. 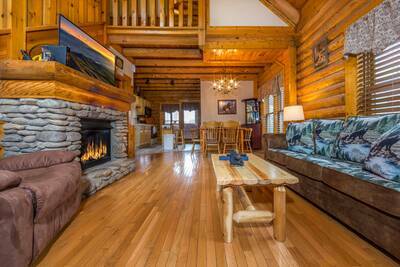 “ We stayed in The Bears Cove cabin, and had a fantastic time. 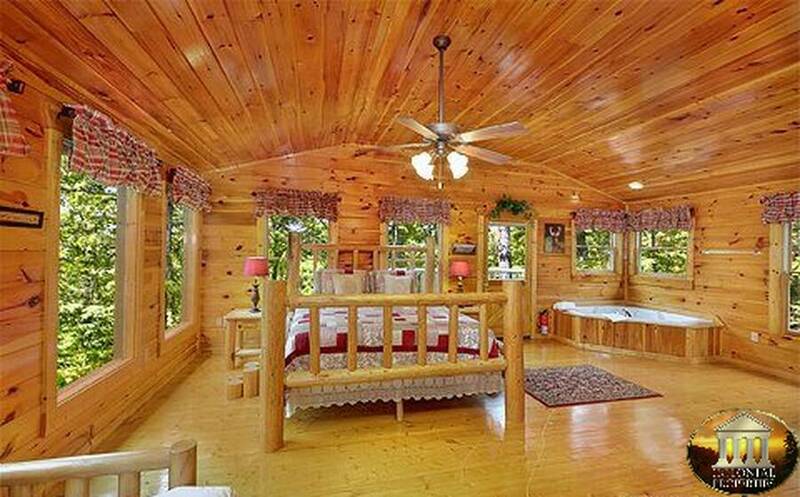 “ The cabin was beautiful! Relaxing and great stay. “ Our family had a great time while on vacation. We loved our cabin in the mountains so much we did not want to leave to come home. We will be coming back soon. Great family get away spot. “ Great family vacation!!! 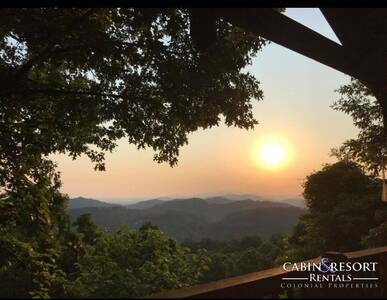 We loved our cabin and the staff was always so friendly. Cabin was clean and really nice. 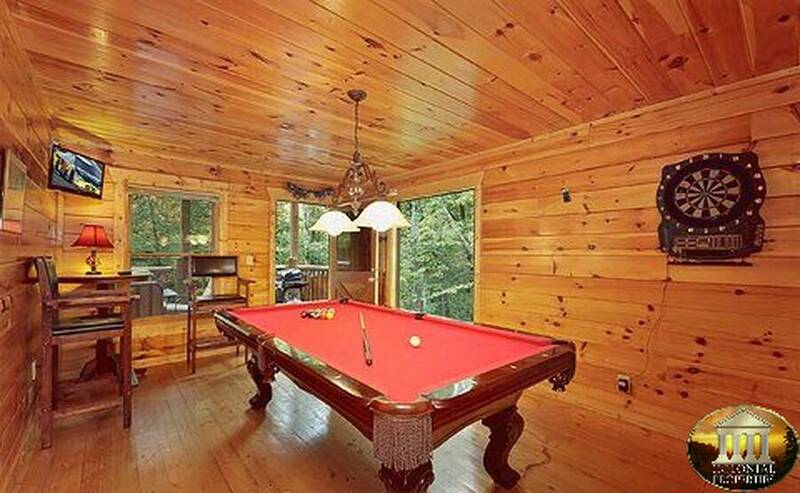 We had a great time in the hot tub and playing pool during on time in the cabin. 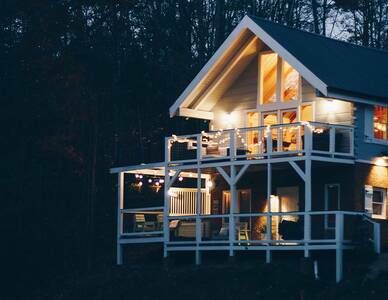 “ Nice cabin. Exactly as described. “ My family and I really enjoyed our stay at "The Brears Cove"! This cabin was perfect and my two small daughters loved it. Everything was very clean and well organized! It really felt like a home away from home... I wish we could've stayed longer! 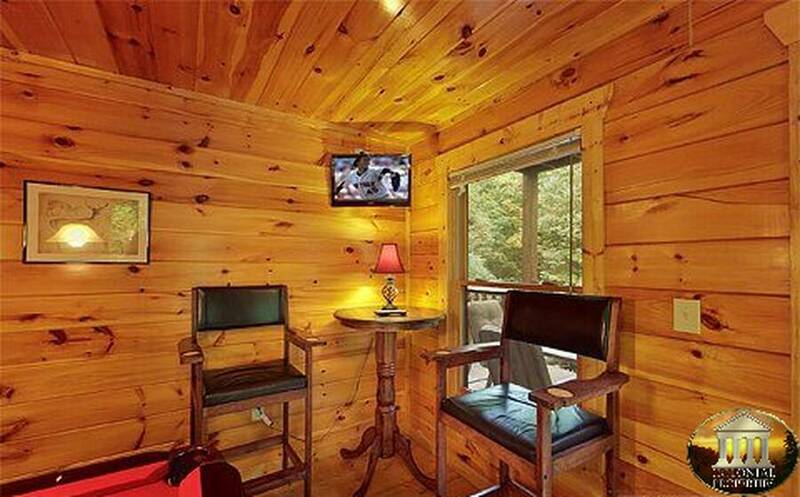 We loved the location of the cabin, it was conveniently located to both Pigeon Forge and Gatlinburg. And the view was amazing! We will definitely be coming back!